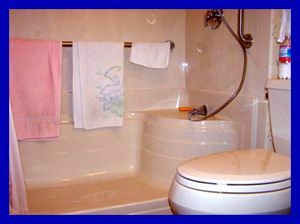 Over the years Gearhart Plumbing Heating and Cooling has perfected complete bath remodeling. Gearhart has learned that as our lifestyles and living situations change, so do our bathroom needs. Some can no longer look at that pink bathroom that has been around since the fifties. Others have developed health issues that require a different bathroom configuration. Others need to make the bathroom ADA compliant. Gearhart can do it all. Gearhart can and will work with you to complete the project in the time frame necessary to help you and your loved ones enjoy a comfortable environment.